Gets new peppy 1.5 turbocharged engine. Very well equipped as standard for the money. Hard ride on larger wheels. Doesn't handle especially well. CVT gearbox is as noisy as you'd expect under acceleration. There's hardly a shortage of crossovers on the market. Everyone and their aunt has some sort of SUV-style model in their line-up. Flavour of the month has become a regular on the menu it seems. 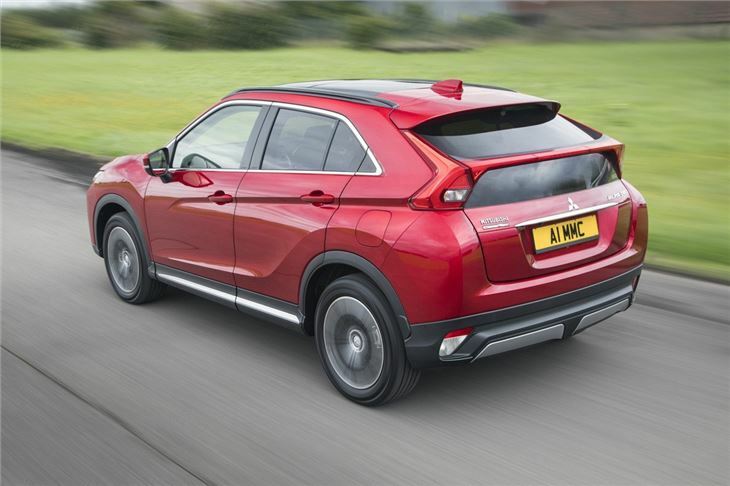 Not to be left behind, Mitsubishi has this - the Eclipse Cross - its version of the likes of the Nissan Qashqai and Hyundai Tucson. 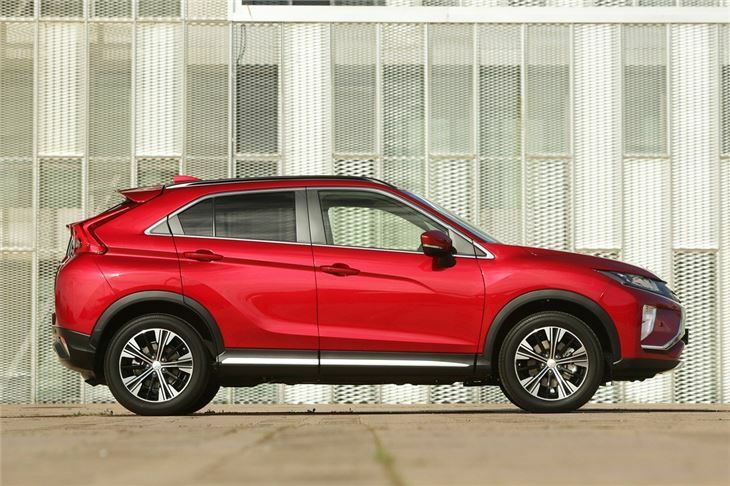 So what makes the Eclipse Cross stand out from the crowd? 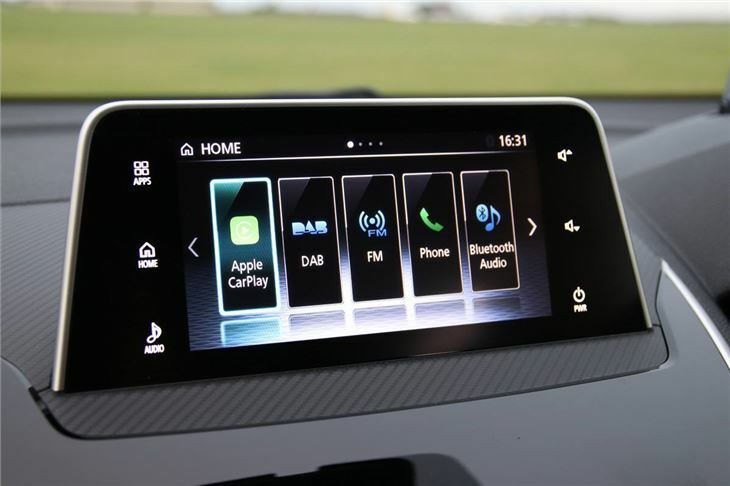 Mitsubishi uses lots of words like 'defiant' and 'engaging' when talking about the styling. There's certainly a lot going on, whether you like it is personal preference - but it is at least not generic. 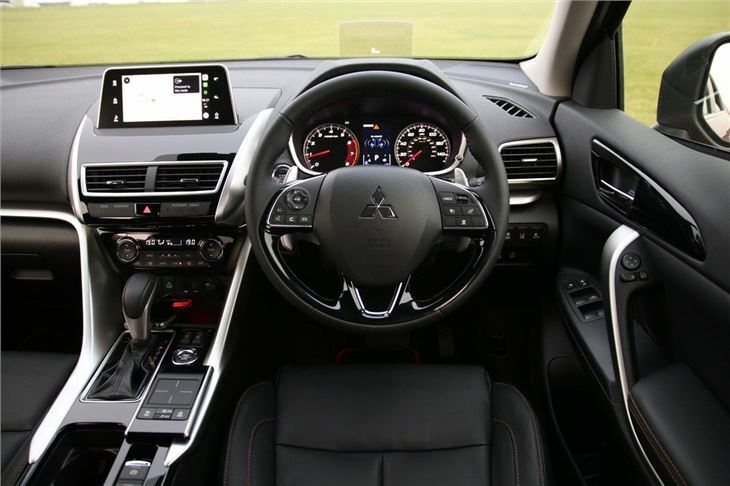 Mitsubishi describes the cabin as its 'best interior ever'. It certainly feels well made and step forward from the likes of the ASX, with less hard plastics and a generally nicer feel throughout. We wouldn't say it's as good as something like a SEAT Ateca but everything works intuitively and it feels solidly built. Practicality wise it's a good family car. The coupe-esque rear end may cut into the load space somewhat - and that split rear tailgate glass compromises the view out the back - but we're assured you can fit four golf bags in the 448-litre boot while the rear seats slide back and forth plus also recline. There's just one engine at launch - a 1.5-litre four-cylinder turbocharged petrol. The lack of a diesel will mean high mileage drivers ruling out the Eclipse Cross but a PHEV is on the way. The 1.5-litre petrol is an impressive unit that's responsive yet quiet and with 163PS isn't short of power. Claimed economy is 42mpg in a two-wheel drive model - you'll probably be seeing around early 30s in real life. The standard six-speed manual is far better than the optional CVT automatic. The latter is fine at a sedate pace but ask for any meaningful acceleration and you're greeted with the usual whine as the engine sits at constant revs. Where the Eclipse Cross falls down is on the road. It's not especially good to drive with too much lean in corners, a hard ride on models with bigger wheels and artificial feeling steering. It's disappointing given how promising the rest of the car is. 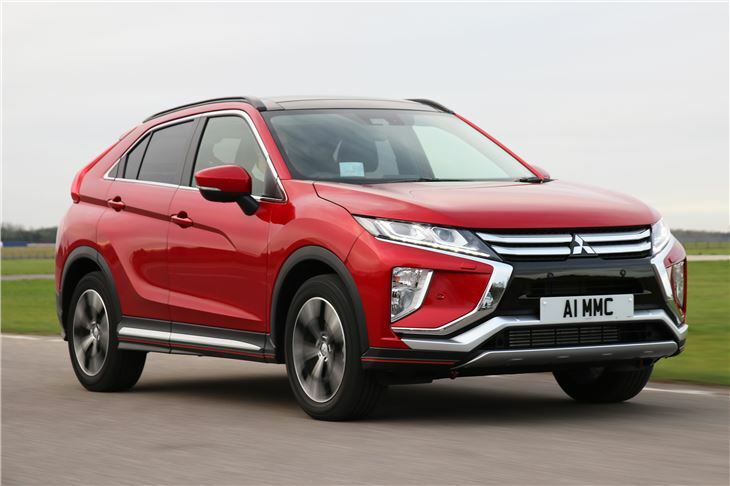 It's also not that cheap compared to the competition and while well-equipped - there are no base-level cars here - there's not much that would tempt you to choose an Eclipse Cross over many of its better-to-drive rivals.